Discover the challenges of modernizing the grid. Download our case study to explore how National Grid drastically reduced CO2 emissions at their Sellindge substation without compromising performance or safety. 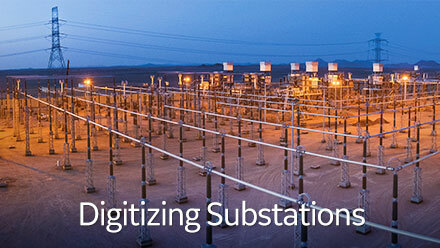 Discover how GE helped to transform the Kuwaiti substations. This project included 26 Kuwait Ministry of Electricity and Water transformers in 15 HV substations. Download our white paper to discover how to reduce substation footprint, simplify architecture, and maximize asset utilization. Modern dancers and musician Gryffin team up with GE to show the complex choreography of the transmission of energy, and how it moves to power us all.